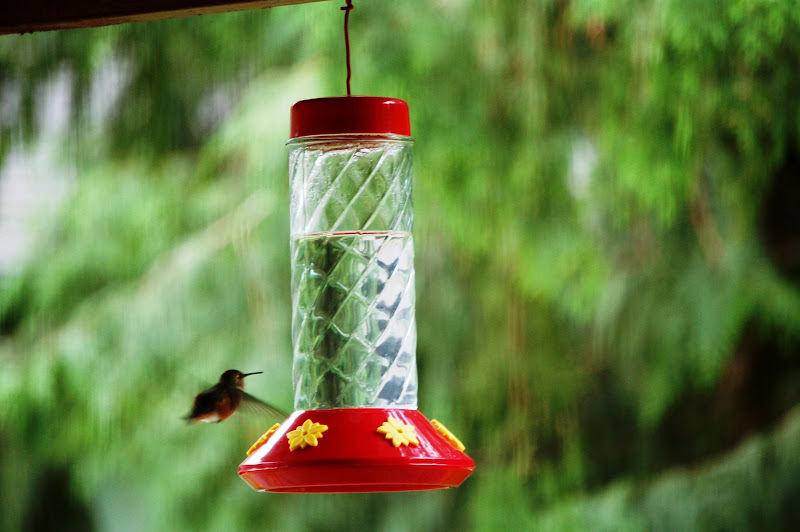 Hummingbirds are few and far between this year. I know my hardware store feeder can't compete with the salmon berry blossoms, but I finally had a visitor. He (we'll just call him that) stopped by Sunday morning while I was sipping my breakfast. I grabbed the camera, shot through the sliding glass door and got him. 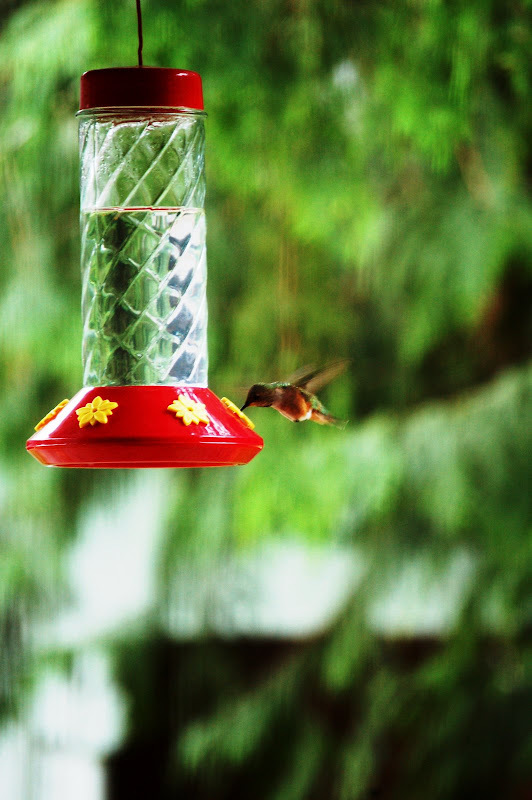 They're nothing The National Geographic will beat my door down to publish, but, they're my first (fuzzy) hummingbird pictures. Ahhh...not a salmon berry blossom, but it'll do! 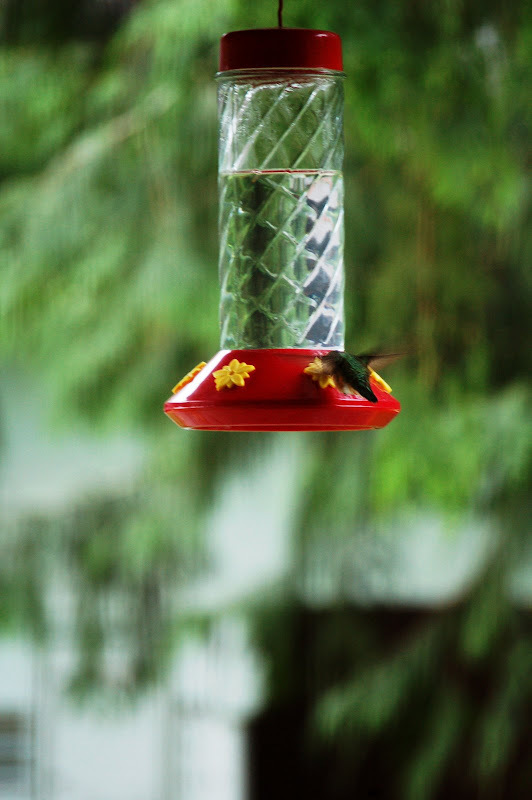 Come again soon, little "hummer"! I sat in the garden tonight trying to shoot birds (with the camera) and failed miserably. Hi Sandy-great pics! 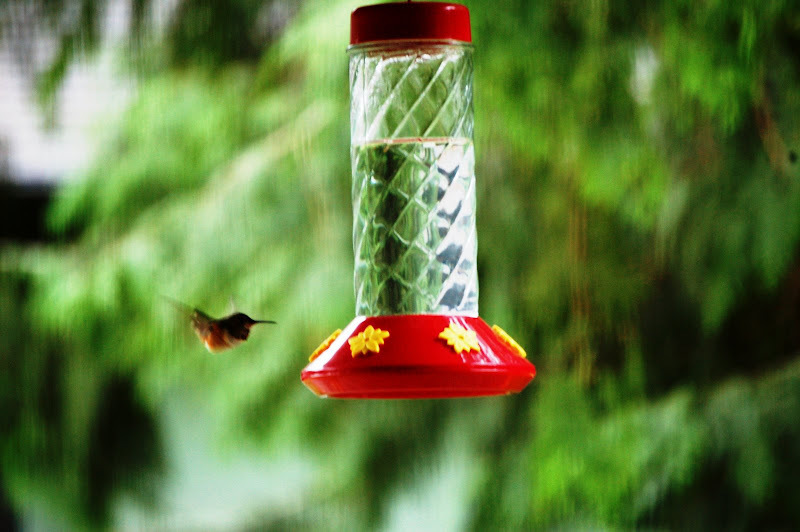 I love hummers. Stop by my blog-I have an award for you. Ooooh, very nice catch! I agree with Carson -- I could NEVER shoot through my windows. The lower 2' are covered with Cardi noseprints and the entire glass sports a fine coating of New Mexico dust! Oh, my--I'm laughing at the comments about shooting through windows and New Mexico dust. 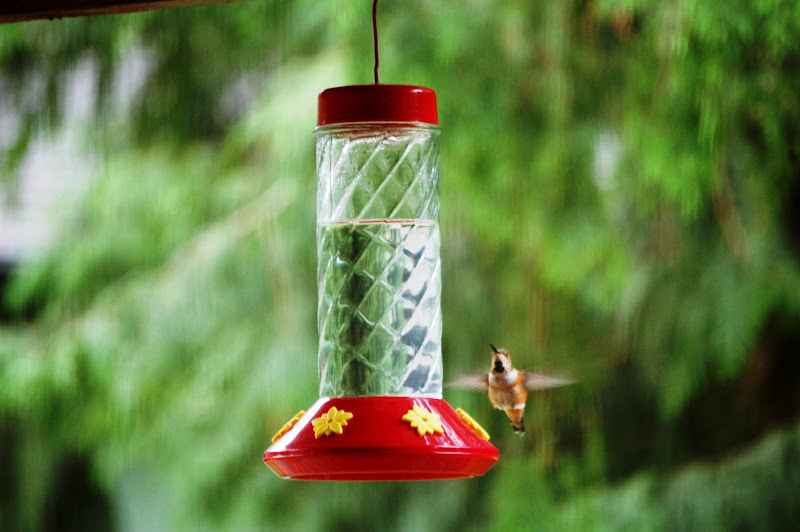 You will love the hummingbirds in N.M., as they are brash little fellows, very demanding. Will pose for food, any time.